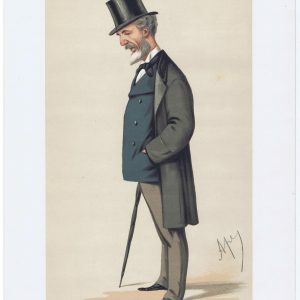 Henri Rochefort Vanity Fair Print . 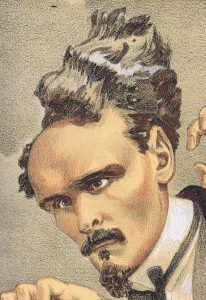 When at length in 1880 the general amnesty permitted his return to Paris, he founded L’Intransigeant in the radical and socialist interest. 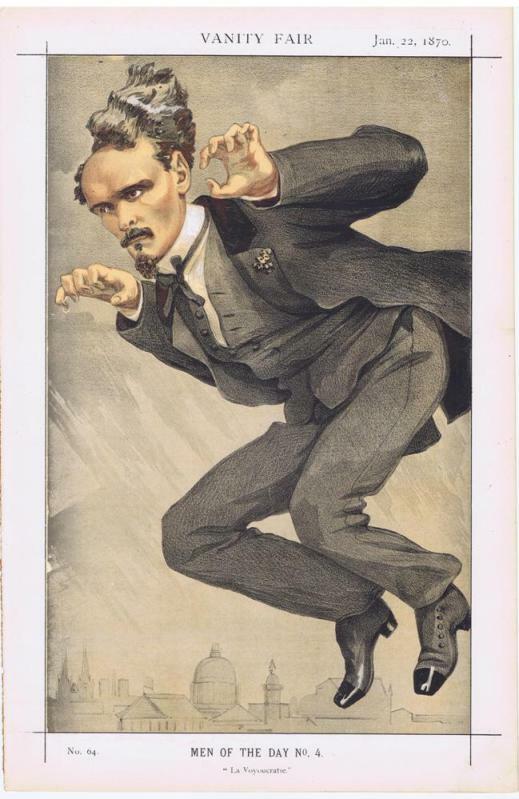 For a short time in 1885-86 he sat in the Chamber of Deputies, but found a great opportunity next year for his talent for inflaming public opinion in the Boulangist agitation. He was condemned to detention in a fortress in August 1889 at the same time as General Boulanger, whom he had followed into exile. 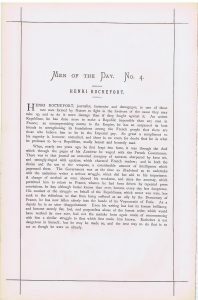 He continued his polemic from London, and after the suicide of General Boulanger he attacked M. Constans, minister of the interior in the Freycinet cabinet, with the utmost violence, in a series of articles which led to an interpellation in the chamber in circumstances of wild excitement and disorder. In collaboration with different dramatists he had meanwhile written a long series of successful vaudevilles, which began with the Monsieur bien mis at the Folies Dramatiques in 1856. On leaving Le Figaro Rochefort determined to start a paper of his own, La Lanterne. 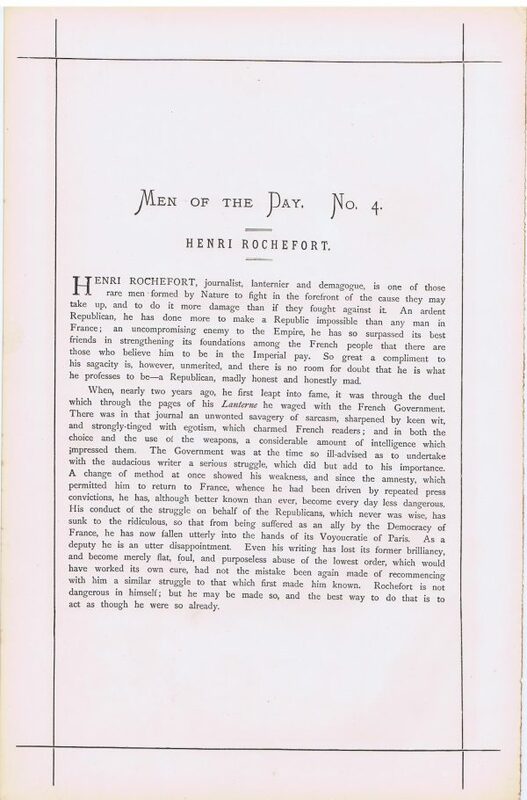 The paper was seized on its eleventh appearance, and in August 1868 Rochefort was fined 10,000 francs, with a year’s imprisonment. He then published his paper in Brussels, whence it was smuggled into France. Printed in French, English, Spanish, Italian and German, it went the round of Europe. After a second prosecution he fled to Belgium. 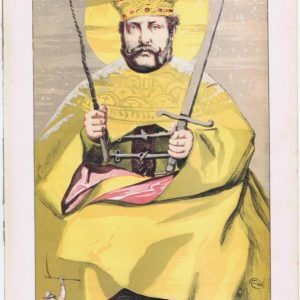 A series of duels, of which the most famous was one fought with Paul de Cassagnac à propos of an article on Joan of Arc, kept Rochefort in the public eye. In 1869, after two unsuccessful candidatures, he was returned to the Corps Législatif, (the then lower house of the French Parliament) by the first circonscription of Paris. He was arrested on the frontier, only to be almost immediately released, and forthwith took his seat. He renewed his onslaught on the Empire, starting a new paper, La Marseillaise, as the organ of political meetings arranged by himself at La Villette. The staff was appointed on the votes of the members, and included Victor Noir and Paschal Grousset. The violent articles in this paper led to the duel which resulted in Victor Noir’s death at the hands of Prince Pierre Bonaparte. The paper was seized, and Rochefort and Grousset were sent to prison for six months. The revolution of September was the signal for his release. He became a member of the Government of National Defence, but this short association with the forces of law and order was soon broken on account of his openly expressed sympathy with the Communards. On 11 May 1871, he fled in disguise from Paris. A week earlier he had resigned with a handful of other deputies from the National Assembly rather than countenance the dismemberment of France. Arrested at Meaux by the Versailles government, he was detained for some time in prison with a nervous illness before he was condemned under military law to imprisonment for life. In spite of Victor Hugo‘s efforts on his behalf he was transported to New Caledonia. In 1874, he escaped on board an American vessel to San Francisco. 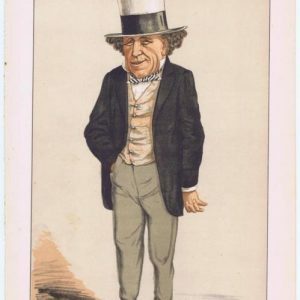 He lived in London and Geneva until the general amnesty permitted his return to France in 1880. In Geneva, he resumed the publication of La Lanterne, and in the Parisian papers articles constantly appeared from his pen. Published: 22-Jan-1870 Signed by: Unsigned . Dimensions approximately 23cm x 35cm.